The National Marine Aquarium has announced it will be offering educational boat trips to explore the Plymouth Sound from this month. 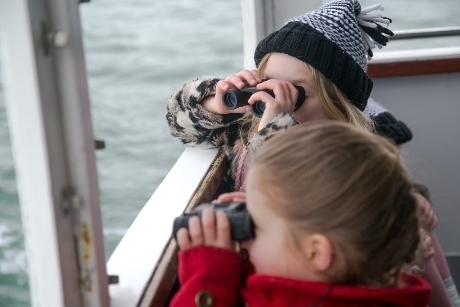 Setting off from Shepards Wharf, schools will join the Aquarium’s team of marine biologists and ocean conservationists to discover the wonders of our oceans and learn more about its habitat and the animals which live in it. The Plymouth Sound is one of Devon’s 19 special areas of conservation and is teaming with a wide variety of marine life, including; sea grasses, kelp, mackerel, flat fish, rays and a species of shrimp found nowhere else on earth. This opportunity will give pupils a hands-on experience exploring the creatures that inhabit the water, rock pools, sea bed and beaches along Plymouth’s coastline. Visitors will be able to pull up lobster pots to explore the contents and work with the biologist onboard to identify the different species. The boats trips will be the ideal opportunity for students to learn about the positive work that is taking place to look after our precious seas, the threats facing our native marine life, and the small actions they can take at home to help. The aquarium caters for all Key Stages and offers interactive and explorer tours which will allow students to discover the exotic creatures housed within. Topics covered include conservation, habitats and adaptation, linking directly to the Science curriculum. For more information, visit www.national-aquarium.co.uk.